The eight sent to Helena this year is enough to provide proportional representation for the 70,000 tribal members living in Montana. Jonathan Windy Boy (D) SD16. Longtime Democratic legislator Jonathan Windy Boy says that kind of representation — or parity — should be the standard, and allows Native American legislators to wield some power beyond just their individual votes. Windy Boy is a member of the Chippewa Cree tribe representing House district 32, which includes part of the Fort Belknap Reservation. 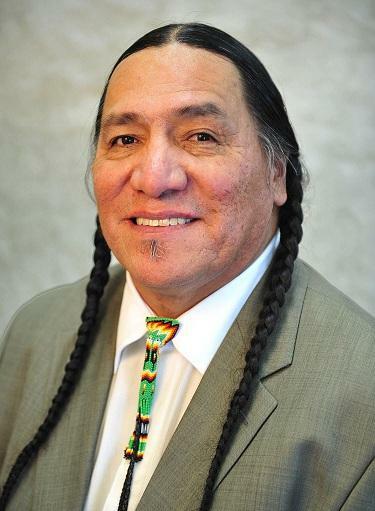 More than electing equal representation, he’s interested in what Native American lawmakers can do with that representation as a voting block, commonly called the Indian Caucus. “Even in the caucus, we're not going to agree on everything … so we try to address some of the issues we all come to a consensus on,” Windy Boy said. Recently those issues include tribal water compacts, Medicaid expansion and a language preservation bill Windy Boy and the Indian Caucus pushed for that passed in 2013. Subsequent funding of that bill allowed several tribes to create language curriculums, develop language apps and paved the way for future programs. The racial make-up of Montana’s Legislature started resembling the state’s population demographics in 2003, right around the time the state redrew its House districts to boost the Native vote. Since then, between 7 and 10 tribal members win seats in the House and Senate. That’s around 5 percent of the 150-person legislature. Native Americans make up just shy of 7 percent of Montana’s total population. This year, legislative parity was guaranteed. Six tribal members ran unopposed, and four ran against each other for two seats. They won six seats in so-called reservation districts, and picked up two urban districts in Missoula and Great Falls. The eight-member caucus has seven Democrats and one Republican. Representative Windy Boy says growth of the Indian Caucus has also attracted allies who add heft to the caucus’s vote. He’s been looking forward to the end of election season, when legislators start to figure out who will fill committee leadership roles. Windy Boy says those positions typically go to legislators representing urban districts, but his and others’ long history in state politics could help them maneuver into key positions. Nationally, nearly 100 Native Americans ran for seats in state legislatures. Montana elected the most tribal members, followed by Oklahoma with six and Minnesota with four. April Charlo is happy to hear that state lawmakers passed a bill yesterday supporting Native American language immersion programs in the public schools. Growing up on the Flathead Reservation, Charlo says the first time she had a chance to learn Salish was in the 7th grade.